Children seek guidance from parents all the time, whether the issue is trivial or profound. 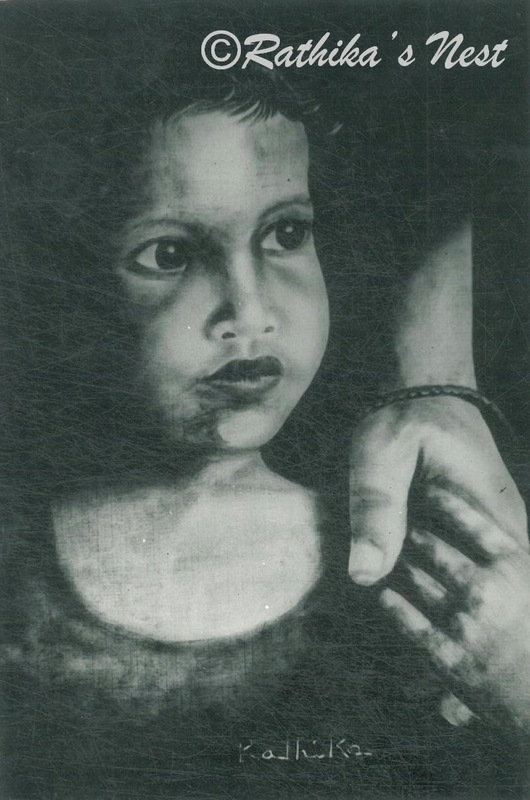 In this painting titled ‘Lead me on’, this emotion is depicted by the mother’s hand holding the child’s hand. This painting is executed using Indian ink medium on textured paper. Most of the background is covered with Indian ink and the elements emerge from this dark background into the foreground, creating the drama that enhances the mood. Dry brush technique has helped to define the textures and depth with minimal use of lines. ‘Lead me on’ is my personal favorite for the mood, message and drama I managed to achieve in this work and is in my personal collection.